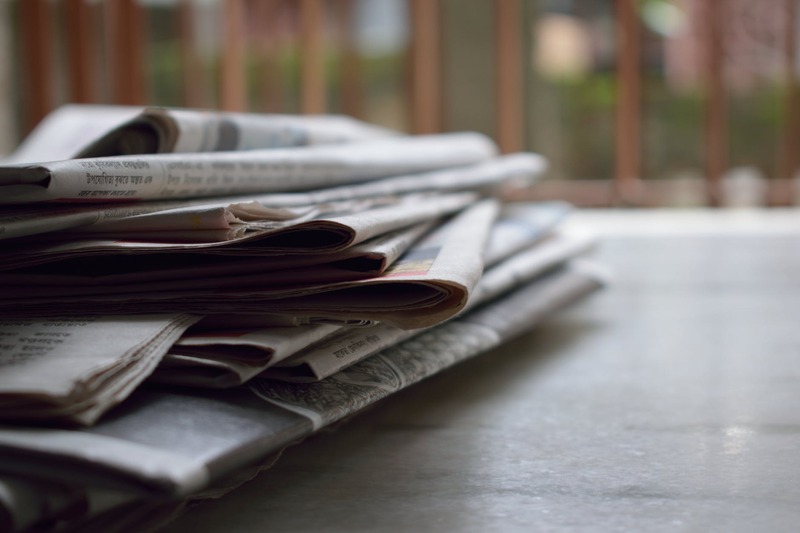 In the wake of the 2018 local election results, the general consensus amongst the mainstream press as that no-one had really won the local elections. The BBC reported Labour being pleased despite not making major gains, declaring that there was “no clear winner”, there has been a lot of discussion on Twitter and in the papers about whether we have seen “peak Corbyn” and whether the opportunity to win a general election come and gone for the Labour leader. Chuka Umana even called for an investigation into the poor election results, claiming that results should have been better campaigning against the backdrop of such a “divided and incompetent” Government. With the final votes counted, Labour have gained an 110 seat swing from the Tories. According to the BBC, an 110 seat swing indicates “no clear winner”, and Labour’s best Local Election results since 1971 are “disappointing”. Peter Stephanovic was also incredibly critical of the ‘stalemate’ line being reported by the press, pointing out that Labour just had their best local election result since 1971. Online news outlets such as Evolve Politics and The Canary were quick to point to this as clear evidence that the mainstream press are simply a propaganda wing of the Conservative Party. 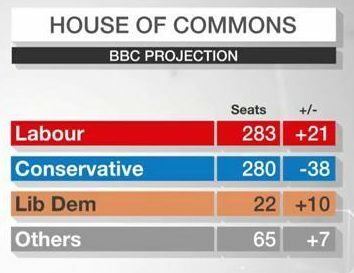 On the surface, they have a reasonable point; Labour gained 77 seats, whilst the Tories lost 33, UKIP was all but wiped out, losing 123 seats (seats you would automatically suggest would swing to the Tories as they have become the party of a hard-Brexit). The overall picture looks pretty promising for Labour at the moment; they now hold more seats than they have since 1971, they won the biggest share of the vote since 1945, and a BBC poll showed that if this had have been a general election, that Labour would have just overtaken the Tories as the largest party. But let me offer an alternative explanation for at least some of this reporting. 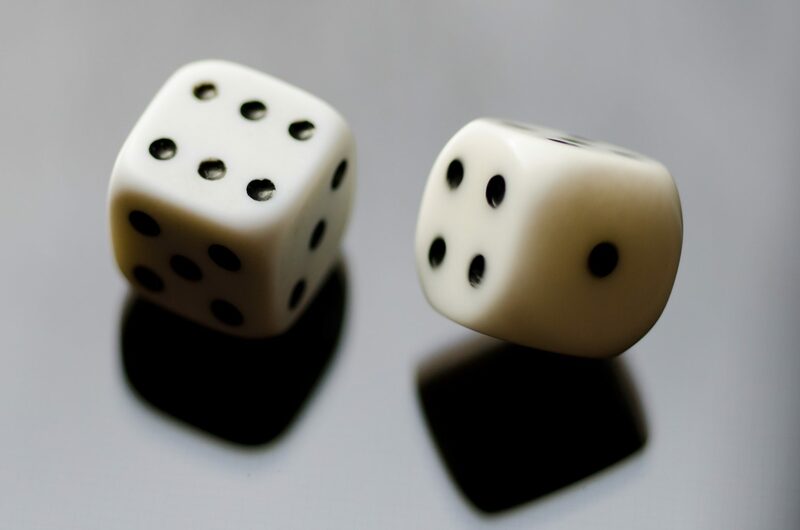 Perhaps, given the scandal-ridden nature of the current administration, with Windrush still fresh in the minds of voters, the poor handling of the Brexit negotiations, and Theresa May’s ever-weakening position as Prime Minister, the press expected more of Labour. In recent weeks BBC pundits have hammered Conservative ministers; Andrew Neil, a former Conservative Party researcher and once editor of the Sunday Times, has been particularly harsh on Tory ministers who have appeared on his show, Clare Perry and Greg Hands (amongst others) have been cornered by the BBC veteran since the turn of the year. Labour were optimistically campaigning in seats like Barnett, Westminster, and Wandsworth, in the hope of turning London almost entirely red. And why not? They are well within their rights to attempt to upset results in traditional Conservative strongholds; the general election was full of shock victories in places like Kensington, where Labour won their first ever victory, Ipswich, where they unseated Ben Gummer, and the close call for Home Secretary Amber Rudd in Hastings and Rye where she held on by just several hundred votes after a recount. 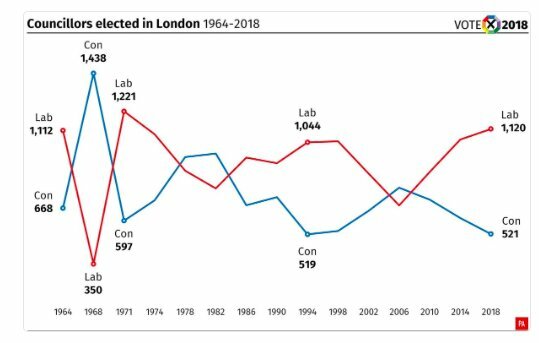 Their optimism was well placed in some areas, they managed to draw level with the Conservative share of the vote in both Wandsworth and Westminster, they won their highest number of seats since 1986 in both constituencies (they only lost Wandsworth by 80 votes in the end). The media could have taken Labour’s optimism, combined with the Conservative fears of a wipeout, and prepared themselves for a seismic Labour victory. They imagined that the 2017 General Election would be a walkover for the Conservatives, only for a Momentum-driven Labour groundswell to produce a hung Parliament. Labour’s ground game was so successful during the 2017 election that many were expecting them to reproduce the enthusiastic turnout that they managed to garner in 2017. The overall picture on the local stage is still fairly good for the Conservatives, despite Labour gains the Tories still hold vastly more councils. 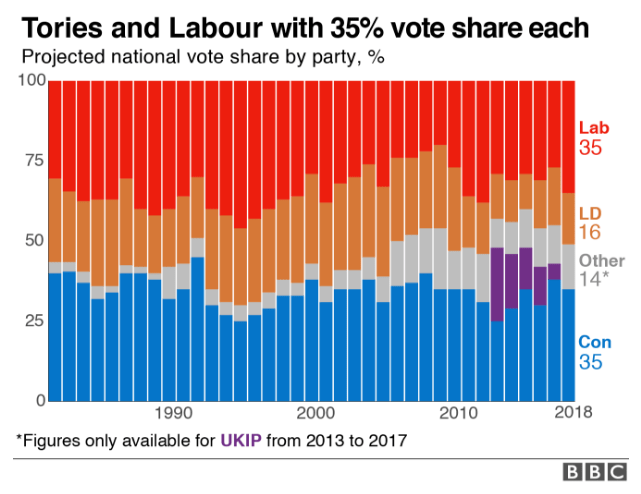 The vote share in the recent elections was essentially tied at 35% each – reflecting the deeply entrenched political consensus that dominates British politics at this moment – a figure which is almost certainly at the heart of the ‘stalemate narrative’. 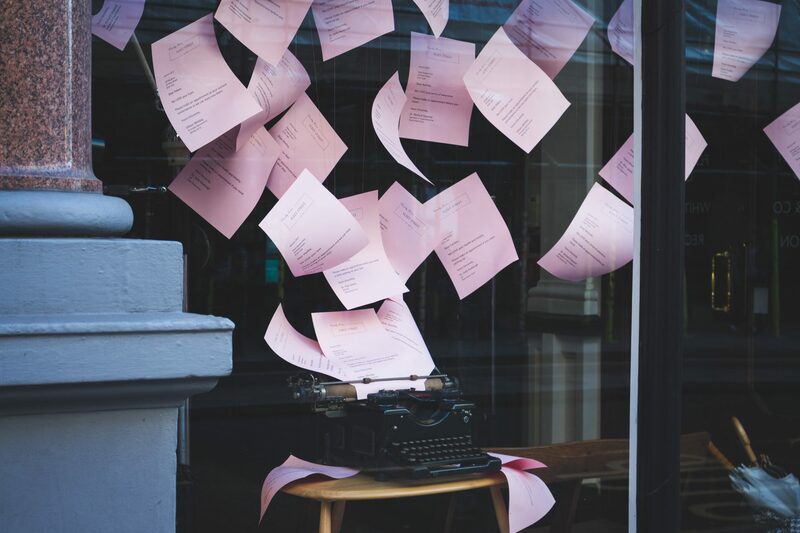 Whilst Labour had a successful local election campaign, they didn’t make the gains they had hoped for, despite the weaknesses of the current administration. It may have been disingenuous for mainstream outlets to declare a stalemate, given Labour’s string of victories in Conservative strongholds, but there is clearly very little between the parties in terms of overall vote share – national voting intention polls over the past months will attest to that. The Conservatives seem to have held onto many core voters, despite the numerous ongoing controversies that they have had to deal with, whilst Labour hasn’t really kicked on from their post-2017 general election campaign position. We should really ask ourselves how much should we actually read into local elections? Turnout often hovers around the 40% mark in many constituencies, and less engaged swing voters (the ones who tend to make or break a general election campaign) tend to be less motivated to vote. Younger voters, those who make up a huge bulk of Corbyn’s support, are also less likely to turn out to vote in local elections, so it seems foolish to read too much into local election results or attempt to map them onto predictions for a national election. The 2017 local elections weren’t exactly great indicators of what was to come later that year, so why should these results be any different.